Daily Surveys Review (dailysurveys.co) - Is It a Waste of Time? Daily Surveys Review (dailysurveys.co) – Is It a Waste of Time? Have you recently come across this website, from Daily Surveys, and wondering if you can actually make the sort of money online that they claim? In this review I'm going to be letting you know what I think about it, to help you decide if you should invest your time into it or not. What is Daily Surveys (Dailysurveys.co)? Daily Surveys is just your typical website that will list and redirect you to websites that will pay you to complete surveys. It's basically the same premise as Swagbucks. Swagbucks is a fully legit website. However, there are many websites that are basically just scams. Like Paid Club. Is dailysurveys.co. one of these scams, or is it legit? So, if you've read any of my other reviews about making money online by taking surveys, you'll already know how I feel about them. I personally think they are the biggest waste of time ever. It's by far one of the worst ways to make money online. Not quite as bad as Neobux, which I recently reviewed. I mean, that website is just ridiculous. I did the maths (generously) and figured out you can earn like a maximum of $0.18 per hour with that. However, completing surveys online isn't much better. How Much Can You Earn With Daily Surveys (dailysurveys.co)? If this is like any other online surveys website, then trust me, you're only going to be earning literal pennies. Most surveys will only pay around $0.50 (if you're lucky) per one you complete. Each one usually take around 10-15 minutes to complete. So, if you do the maths, you'll be able to earn maybe.. I mean MAYBE $3 per hour. Some surveys are just BS and don't even pay out. That's what I mean, you have to be lucky. Usually people who complete surveys online for money will cash in maybe $10-15 for a full day's work. And boring work at that. It's very tedious stuff. They even claim that they have this $125 sign up bonus. That is just a blatant lie. Why would they just give $125 to everyone who signs up? 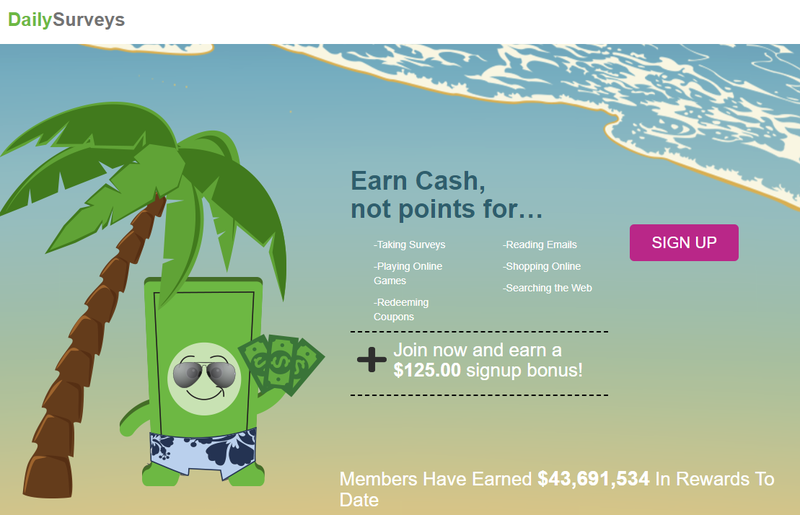 Swagbucks and most legit survey websites give around a $5 sign up bonus. At least that's actually a believable amount. Why do they have to go to the extreme and say $125? They even go as far as saying they work with brands such as Netflix and Walmart. And they've been seen on Good Morning America and other shows. These are just more lies. Try to find anything on the internet with the same keywords “dailysurveys.co and netflix”. Absolutely nothing will show up, because they have nothing to do with them. How to they expect to get away with a lie like that? The Verdict – Do I Recommend Daily Surveys? Absolutely not! I can't find any good reviews about dailysurveys.co, so we don't even know if it's actually legit like Swagbucks. Even IF it is legit, I still wouldn't recommend it or any other online survey website to anyone at all. Whether it's Daily Surveys, Survey Voices or ANY other. Just Stay away. They money you get for the amount of time you have to put in, just simply isn't worth it. There are FAR better ways to make money online in 2018. 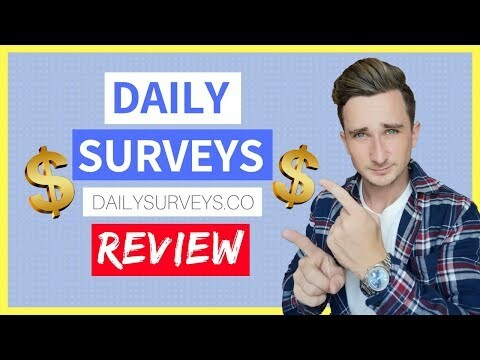 Check out the Daily Surveys Review video I made for the Digital Millionaire YouTube channel. Don't forget to subscribe to learn about more ways to make an income online. Paid Club Review (paidclub.org) – Online Survey SCAM? ?